Charlotte, NC-based Lance Inc., is one of the largest snack food manufacturers and distributors in the United States. The publicly traded manufacturing company makes snack crackers, sometimes referred to as "Nabs." 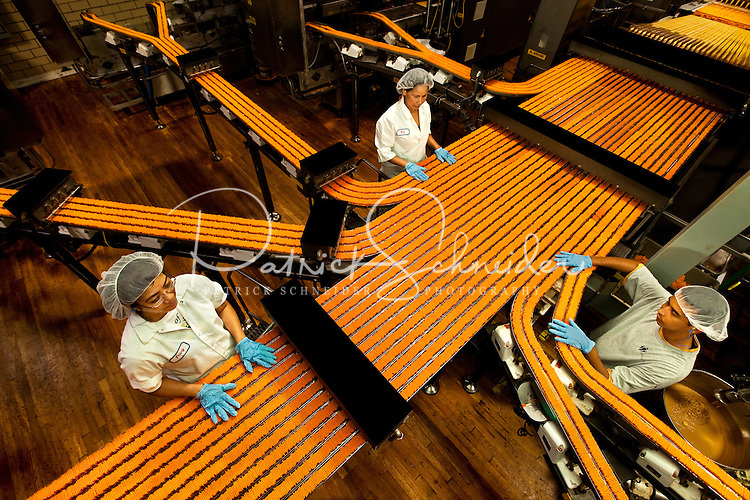 Photo shows the brightly colored orange ToastChee Crackers (peanut-butter-filled cheese crackers) moving through the manufacturing process. Lance Inc., products include sandwich crackers and cookies, potato chips, crackers, cookies, sugar wafers, nuts, restaurant-style crackers and candy.